THE LAST OF THE GREAT ONES NOVEMBER 5TH 1938. I would respond heatedly, that the social calendar of a young person, even in the impoverished 1930’s, was a very full and complex one, ranging from the many indoor activities such as, Junior Wesleyan Guild, the Old and New Cinemas, the Library, copious reading of Tuppennies, to the outdoor pursuits of Scouts and Cubs, swimming off the seawall, and games in the street. There were seasonal activities such as, conkers, iron hoops, whip and top, glass ‘arlies’ and all the profuse joys offered by Little Langland, the Castle Field, the Woods and the Rec’ (Underhill Park). Coupled with homework, it was an agony of indecision fitting all these things in. 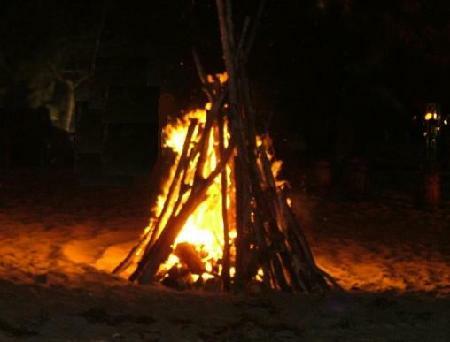 The highlights of the year were of course, the Celebration of Christmas and Bonfire Night. My father, Glyn Maggs, all his life, maintained that only one good man ever got into Parliament and that was Guy Fawkes! Historically, we knew little of the wretched Guy, carrying in our minds vague images derived from history books. All that mattered to us was that he had unwittingly left a legacy based on his frustrated attempt to atomise the Houses of Parliament in 1605. As a result of which, every year on 5th November, we could set off fireworks and burn an effigy on the bonfire. November the Fifth 1938 is a date with a special significance. Once again, the clouds of war were gathering over Europe but, even so, nobody dreamt that this particular Bonfire Night would be the last for six years thus ending an unbroken sequence spanning over three centuries. Within twelve months, there would be a total ban across the country on bonfires, for obvious reasons. So, in our youthful ignorance, early in October 1938, we began to prepare for the great day, just as our forebears had done for centuries and just as the children do today. For financial reasons in the thirties, the emphasis was on the Bonfire and gangs of children would plague shopkeepers such as Mr. Frizell the grocer, Nobby Tucker the stationer, Mr.Varley the chemist etc for rubbish to burn. Sacks of combustibles would be transported to pre-selected back gardens where parents (wondering if they should have their heads examined) had agreed to accommodate the current year’s fire. Gradually, these piles of material would be built to maximum permissible levels, and beyond. Higher than the Mumbles Train! A central pole of telegraphic dimension was first erected and, unabatedly, day by day, layers of paper, cardboard, brushwood, rubber tyres, dead trees, anything that would burn was carefully laid about it. By the Fifth, it was far higher than the Mumbles Train, looking like a giant oasthouse! On the Night, with the help of a ladder, a superbly fashioned Guy would be placed on the top and, at the appropriate time, a local dignitary would come forward and, amidst cheers, plunge a flaming brand into the pile. Rapidly the flames would spread and climb to the apex. A magnificent conflagration was the result, greeted by the joyful cries of the many Blackpill folk present. It would burn and smoulder for several days on. This was a great and long established village event, which brought tremendous pleasure to everybody and was the centre of the Blackpill festivities. It has long since gone the way of many such old traditions, perhaps the biggest cause being the impossibility of preventing the fire being prematurely lit by brainless morons whose life long passion seems to be spoiling the fun of others. Sadly, another old,old tradition has died. As now, the old Swansea Corporation put on a fine show at St. Helens Ground but impressive as this display was, it could never much the joy of participating in one’s own humble display. How could one terrorise the girls with ha’penny bangers sitting between Mum and Dad? As stated above, money was tight to the extreme in the pre war days and there was little to spare for non-essentials. All the local trades people sold fireworks and there was no age restriction. A halfpenny would buy a “Little Demon” banger and its bigger brother cost a penny. A penny would buy a Roman Candle, a Jackie Jumper, a simple Rocket. To please whingeing sisters, there were Sparklers, Chrysanthemum Showers and Pin Wheels. Rarely was a firework bought that cost more than a penny. From mid October, sweet money was devoted, mainly, to buying these fireworks and by the Fifth, a few dozen had been accumulated. This number along with those of friends would add up to a night of joyous explosion. Whilst the Mumbles lads bought carefully from the local shops, the better off would go to Dan Morgan’s shop in Oxford Street. The display in the window surely represented the apotheosis of Pyrotechnical élan!. Here in both the windows fronting the shop was a display worthy of the Crystal Palace. Rockets at £1.0s 0d each! 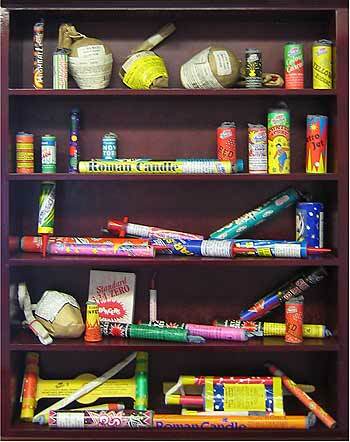 Roman Candles at 10s.0d each!